With the amount of pressure that one has to deal with in events as prestigious as the Asian Games, winning a competition is not easy. On the occasion of National Sports Day, Express Parenting got in touch with experts to find out how you can train your sport-loving kid to become a champion. 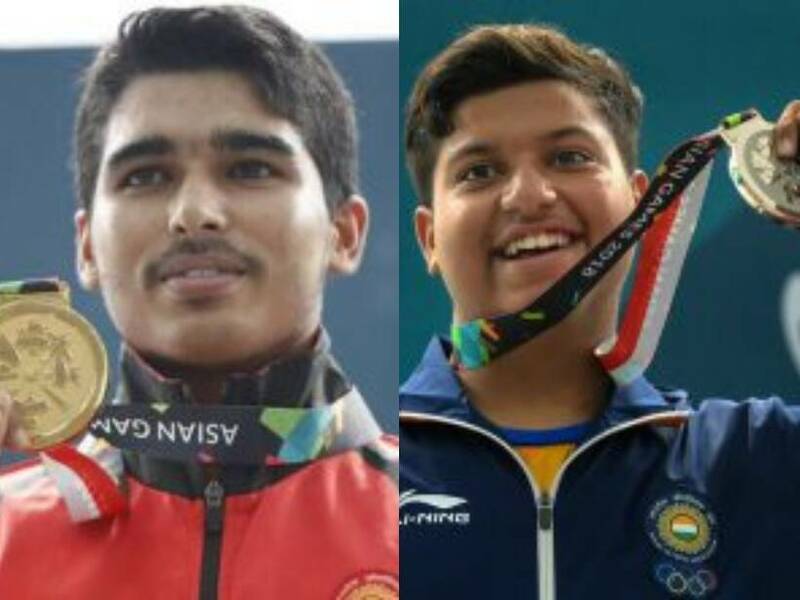 Quite a number of teenagers, including 15-year-old Saurabh Chaudhary and Shardul Vihan, among others, made us swell with pride when they bagged medals at the Asian Games 2018. Their victory wasn’t some miracle; years of hard work and dedication paved the way to the championship. With the amount of pressure that one has to deal with in events as prestigious as the Asian Games, winning a competition is not easy. Being talented is not enough and there are a lot of other factors that contribute to success, including support from parents. On the occasion of National Sports Day, we bring you the tenets that can help your sport-loving kid become a champion. Playing a random sport with friends for recreation is different from actually pursuing it competitively. That doesn’t mean that children should be made to focus on one particular type of sport right from the beginning. Express Parenting got in touch with some experts in the field, who were of the opinion that kids initially should be exposed to various kinds of sports, which helps in their overall development. It improves one’s fundamental or basic skills, which is essential for any sport, explained fitness trainer Sagar Diwan, who has trained several cricketers and golfers. “It is called long-term athletic development (LTAD), under which, we start training kids on fundamental movement skills for a few years. During the process, the children’s performance is judged from time to time along with their physical and mental behaviour. Some kids are very flexible, some aren’t. With time, you get to know if the kid is athletic or not. Kids need to become athletes first, after which they can choose any sport,” he said. At what age should your kid start playing? Kids should be exposed to sports at a very early age, even though they are not undergoing professional training at the time. “The younger the kid starts, the better,” believes Arki Nongrum, CEO of Meghalaya Football Association. “Kids can be allowed to play sports from the age of three. Till the age of 13, a child can absorb the best training. Starting late would mean overcoming the restrictions in your learning abilities that the body poses,” said Nongrum. Sania Mirza, for instance, also drew our attention to how sports can be the “best education” a child can get. “I always say SPORT is the best ‘education’ you can provide your child with! Teaches you sportsmanship, equality, respect and most importantly humanity! If only some people can learn this from our champion athletes too! !” she recently wrote on social media while lauding Neeraj Chopra, who won a gold medal in javelin throw at the Asian Games. When we spoke to Dr Rachna Khanna Singh, HOD-Holistic Medicine & Psychology, Artemis Hospital, Gurgaon, and mother to 14-year-old Aveka Singh, who is now the Vice Captain of the junior football team in India, she rightly talked about how it’s important to seize every opportunity that comes one’s way. “Opportunity doesn’t knock twice. When it comes, go for it. My daughter, Aveka, is due to give her board exams this academic year, but hasn’t been attending school for almost three months now. Parents need to understand there’s more to a child’s education that just academics,” she said. When should children start training for a sport? According to experts, children should be allowed to pick their sport of choice only around the age of 12-13, believes Nongrum. Letting a kid focus on only a particular kind of sport wouldn’t help him develop his basic skills. “Under long-term athletic development, kids should play a lot of sports till the age of 13-14, which will help in the overall development. Only after that should the kid pick one particular sport. That’s when one can start professional training while focusing on his or her fitness. Over the course of my training, I have realised that there are a lot of established sportspersons whose fundamentals are not clear, even though they are skilled,” said Diwan. For any sportsperson, fitness is extremely important. That doesn’t mean that the kids should only follow a fitness regime specific to his or her kind of sport. According to Diwan, a child’s fitness regime varies with age and individual potential. “When children are small, they should know how to jump, skid, squat and run fast. From the age of 12-13, we can introduce the kid to moderate level of fitness training including, step-up, lunges, planks, and other exercises. Along with this, they should have the fitness regime specific to the sport they are playing,” he advised. Playing sports involves a lot of physical and mental exhaustion. Practising and training for a sport isn’t the only criteria for guaranteeing success. The kid also should also be given the chance to recover. This would mean a healthy and sound physical and mental state, for which he or she would need proper nutrition and adequate amount of rest. “Recovery is very important. We need to keep a check on their heart rates, nutrition, and other recovery facilities. Till the age of 12-13, kids need not wake up early. They should sleep for 10-12 hours. Schools can start later in the day,” laughed Diwan. But are we paying enough attention to nutrition required by kids playing sports in India? Perhaps not, feels Nongrum. “In India, we aren’t paying enough attention to the nutrition of that these young sports enthusiasts need. The body demands certain kinds of food. That is one factor we need to focus on more,” he remarked. 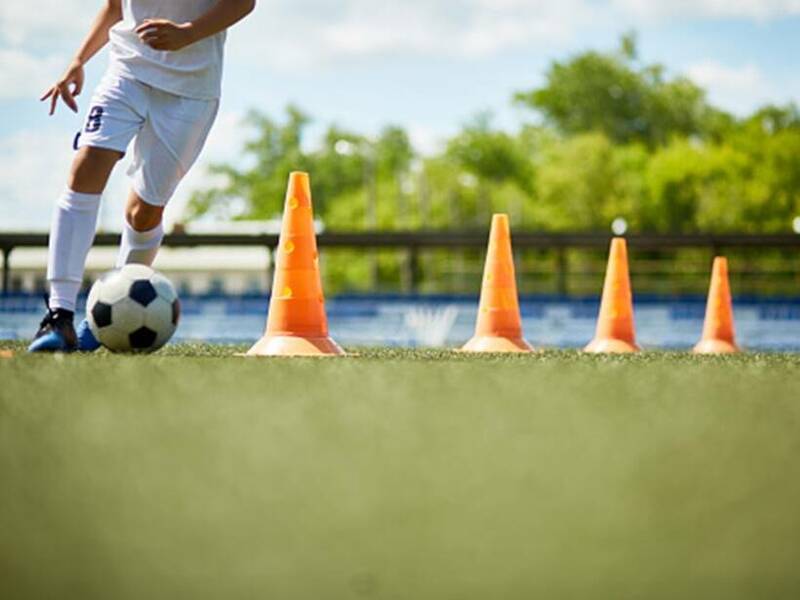 Even if a child likes playing a sport, there may be instances where he or she may start feeling too pressurised after being exposed to rigorous training. They may be bogged down by the parents’ or coach’s expectations. This, in turn, will affect the game. Whether the child retains an interest in playing is linked to his or her coordination with the coach. “The coach needs to notice the child’s mood, behaviour and drill. The child may not be practising because he or she is not enjoying it or is too tired,” agreed Diwan. Not every kind of pressure, however, is bad for the child. “When you have passion for a sport, you don’t feel the pressure as much. Of course, when the sportspersons are representing India, there is pressure but that’s good strength. My daughter sees every game as a challenge and not a hurdle, which is important,” said Dr Singh. Saurabh Chaudhary, who won a gold medal in shooting at the Asian Games this year, had also said something similar in an interview with PTI. “I did not feel any pressure,” said the young man who picked up the sport only three years ago. That is why one also needs to introduce children to competitive training, asserts Nongrum. “Competitive sports is very important, whether you are playing for recreation or at a proper tournament. In the end, if you want to be the champion, you have to compete against someone. Training through competitive sports teaches you to handle the pressure in a match, while strengthening one mentally and physically. Otherwise, the kid tends to succumb to pressure, no matter how talented he or she is,” he said. Mehra narrated an incident where a young boy failed to prepare well for a chess championship because he wasn’t allowed to skip school for a week before the competition. “The school denied him a week’s leave of absence, which he required to prepare for the National Chess Championship (for the age group under 15) that is held only once a year,” said Mehra. That is not to say that no school encourages kids to pursue sports or any other passion beyond academics. A case in point could be Rameshbabu Praggnanandhaa, who recently became India’s youngest chess grandmaster. The 12-year-old boy reportedly received a lot of support from his school. Even though he had to miss school due to his tournaments, he was allowed to write his examination. “School authorities have to maintain the decorum, no doubt. At the same time, they should identify and acknowledge and promote students who have proved their calibre in sports. Teachers should use their discretion and bend the set rules when needed,” she added. Support from parents is equally necessary. And Dr Singh agrees. “As a parent, I have always backed my daughter,” she said. Parents often tend to choose the sport the kid should play, either to realise their own unfulfilled aspirations or because they find that particular form of game to be lucrative. Forcing a child, however, can serve no good. “As a professional, I have seen a lot of parents pushing their kid to play a sport that they want. If children are not interested in a particular sport, you can’t force them. I am trained in martial arts. Even though I don’t want my son to take up martial arts, I can’t force him. If he is good in martial arts, I cannot and should not stop it,” Diwan asserted.